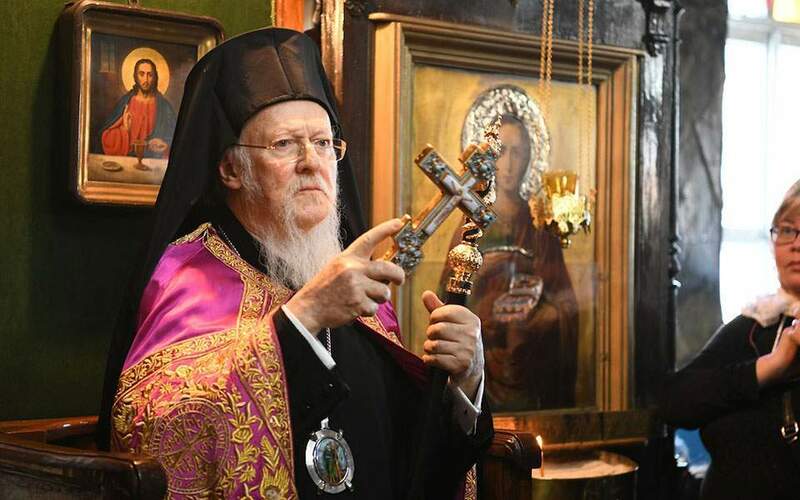 Ecumenical Patriarch Vartholomaios on Thursday criticized as “unacceptable” a decision by the Russian Orthodox Church to sever eucharistic communication with the Ecumenical Patriarchate of Constantinople. “We may have different opinions regarding the various problems that concern the Orthodox Church in its entirety; this is normal and democratic; but to suspend the eucharistic communication in order to exercise pressure and force others to agree with our views, is unacceptable,” Vartholomaios said. “I am certain that our sister church in Russia will soon regret this extreme decision,” he added. The Ukrainian Orthodox Church was recently granted independence from Moscow. The ruling prompted cheers from Kiev but anger in Moscow.